Choose between Electric or Gas floor sawing depending on your location and regulations of your job site. We offer concrete floor and road sawing services. 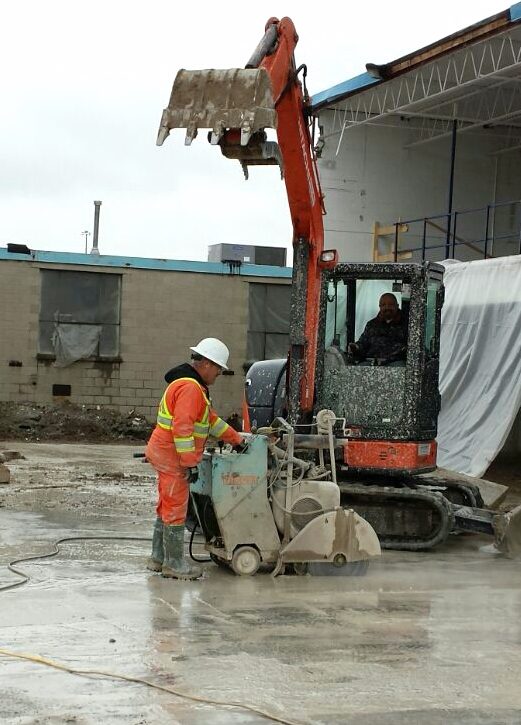 When cutting within a building, we are able to cut 12 inches deep within the concrete, while outside we are able to reach a depth of 15 inches. This service is especially helpful when replacing piping, electrical work or re-doing areas of flooring or sections of asphalt.